Moss on concrete walls and flooring can not only look untidy but can also be dangerous across walkways and paving. Here are some maintenance tips to ensure your concrete surfaces look good and function well during the colder seasons. If you’ve got a large area to cover, we also have information on our DOFF cleaning service - used to ensure your concrete looks its best all year round. Baking soda is something most homes have tucked into the back of the cupboard and it works well when used on moss, although is best used on dry days. Simply sprinkle over the affected surface and sweep away any remnants after twenty-four hours. Pressure washers are one of the fastest ways to remove moss from concrete surfaces. Using the device, high-pressure water is sprayed at the affected areas blasting away the mossy growth and dirt leaving surfaces clean and safe for winter. A cost-effective method of removing moss from concrete surfaces is to pour boiling water over the area, especially parts that are affected by other unwanted growth. After liberally applying boiling water to the area (being careful to handle it safely to avoid burning) scrub the area with a stiff brush and use a hose to wash away the mossy debris. If you’ve got stubborn moss marks, a half and half vinegar/water mixture can be effective for removing troublesome stains and is another cost-effective means of removing moss from concrete surfaces. White vinegar is the best to use and can be mixed in a spray bottle to quickly and easily spread across wide surfaces. Safe and experienced handling is a must when working with bleach products, even household bleach which can still be harmful to skin and surfaces. Carefully mix a diluted one-part water, one-part bleach solution, while wearing protective gloves. Spray this mixture over the area, being careful to avoid grassy areas or materials you don’t wish to be damaged. After a few minutes, brush and hose down the area. Where possible, use garden bleach designed to work against moss while remaining safe for the environment. 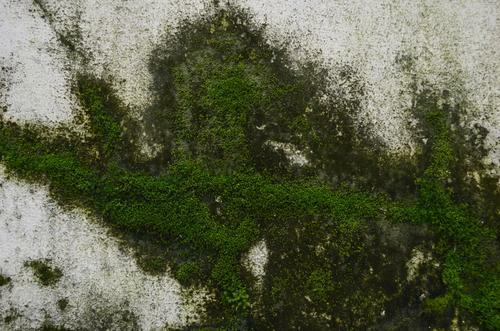 If you’ve got a wide area of stone or concrete that requires moss removal and you don’t have the resource to safely remove the growth yourself, we offer a DOFF cleaning service to safely remove moss and algae from surfaces via steam treatment. Not only are no harmful chemicals required or used during the process, the temperatures we use ensure spores are completely removed to prevent regrowth. For more information on our DOFF cleaning services, please give our team a call on 01733 560362 or leave a message via our online contact form.